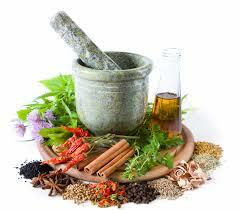 Herbal Medicine is the use of plant remedies in the treatment of disease. It is the oldest and most widely practiced form of healing in the world, with 80% of the population currently relying on herbs for health. As the herbalist I will seek to find the root cause of your ailment rather than purely treating the symptoms. Plants with a particular affinity for specific organs or systems are used to correct the imbalance in the body and encourage healing. This first consultation will consist of taking a detailed case history which will enable me to build a picture of the patient as a whole being. You will have an iridology consultation (eye examination) as well as tongue and pulse diagnosis. 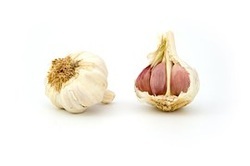 Following the consultation I will give you a liquid mix (herbal remedy) of up to 9 herbs. Treatment may also include advice about diet and lifestyle as well as supplementation. Ayurveda - by assessing the individuals ayurvedic constitution a more appropriate diagnosis and treatment can be given. Bach Flower Remedies - Dr Edward Bach identified 38 remedies that are used for their invaluable effect on restoring a positive state of mind. Chinese tongue and pulse diagnosis - provides further information as to any imbalances present in the body. Detoxification - helping the body eliminate efficiently any environmental or dietary toxins is vital in restoring health. Iridology - a non-invasive analysis of the eye surface to detect certain signs in the iris that are related to specific organ dysfunction. This can also reveal constitutional or genetic weaknesses. Lifestyle assessment - regular exercise, adequate sleep and taking time to relax are essential to healing. Nutritional advice - Hippocrates advised "let food be your medicine" and a wholesome balanced diet is essential to vibrant health and energy. Stool Analysis - a series of tests done on a stool sample to help diagnose certain conditions affecting the digestive tract.